HIV wears the face of a woman. Cancer wears the face of a woman. Poverty wears the face of a woman. Abuse in its several forms wears the face of a woman. At which point will society realize that when its female population is protected and safe; the society is a happier one? 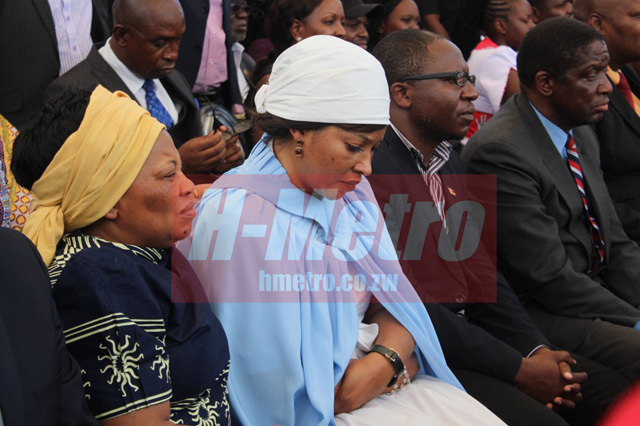 I write this week filled with dismay at the treatment that I have seen being meted on Elizabeth Tsvangirai, the wife of the late MDC-T leader; Morgan Tsvangirai. I must state clearly from the beginning that I do not know Mrs Tsvangirai. All I know of her is the many beautiful pictures of her I have seen in the media since she rose to prominence. I deduced then that she was a very attractive woman who is always immaculately dressed. All I know is the fact that I have been seeing her walking around hand in hand with the late MDC-T leader as he addressed rallies; but over the past two years; as he also battled ill health. I have seen her over recent months and admired her poise and strength as she travelled with him to seek treatment for his condition in South Africa. The late MDC-T leader succumbed to Cancer of the Colon last week and we all know what has been going on since then. Or at least we all know what has been panning out in the public. The woman we had come to know as always being by her husband’s side was suddenly thrust away from his side during his last moments; or at least that it how it seemed. To us; it seemed as if she was no longer good enough now that the final moments had come. I hold no brief for Liz, as she has come to be referred to by many. But I absolutely have to say something about this ill treatment of women by our society. At its height; HIV and AIDS caused several deaths of men and women. However; what I remember as well from that period; when many men and women of productive age lost their lives to AIDS; is what followed. I was a little girl. I was quite young. But I know that many widows lost all they had worked for. I know that many widows were thrown out of their homes by relatives of their late husbands. As many families were faced with the sad loss of their sons, many took their anger out on the women left behind. At the height of AIDS deaths in the early 20002; many widows were accused of being behind the deaths of their husbands. Many families were left hugely wounded after all manner of accusations were traded. Many families would actually consult traditional healers following the deaths of their children and it is there; that some of the blame was in many cases apportioned to the remaining widow. We may have been young but we saw a fair share of women being labeled witches even when it was obvious the late would have died of an AIDS related illness. We saw a fair share of widows being accused of having been promiscuous, leading to their husbands being infected with HIV. Those were bad times. Women suffered. Their children suffered. On top of all this; they bore the brunt of HIV. Women were and still are disproportionately infected and affected by HIV. We saw the enactment of laws over the years to protect women’s rights and we thought we were getting there. But today we have a woman of means; a woman in the limelight; a woman who is enlightened; being subjected to a nightmare that no one should accept. Imagine if it were your daughter? Your mother? Your sister? Zvainakidza here? One thing I know is that caring for a sick person is hard. I know that if the sick person is close; then it is even worse. What more when it is a terminal illness? Cancer is serious business. 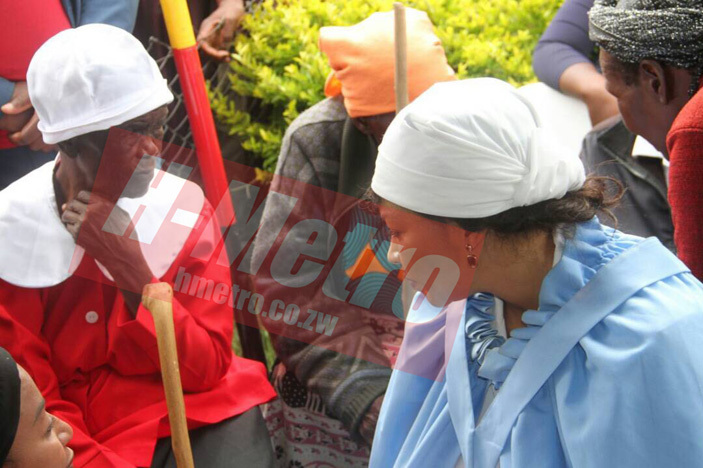 All we need to think of are some of the images of the late MDC-T leader we saw in recent months. We saw and felt his pain through the media. But his wife and family saw it up close and personal. His wife; more than anything; had to feed him, probably clothe him and many other things. She saw it and lived with it. She had to travel with him too which meant her life was on hold so she could look after her spouse. Now; no one is perfect. Hence; I am certain Liz has her faults just like her late husband and all of us have. So where is this drama and emotional persecution coming from? Does any woman deserve this? Is it all about inheritance? So many years into modern and independent Zimbabwe why should society be treating women the way Liz is being treated? Being denied the room to mourn? I speak about Liz today but there are many women who are in worse off situations. There are some whose late husbands do not even leave estates to haggle over but they are still accused of witchcraft and thrown out. They are some whose very partners beat them for testing positive for HIV. There are some who are suffering in silence right now as a partner or relatives of a partner abuse them. Women, regardless of income, wealth and education remain abused. The patriarchal nature of our society does not make it any easier on the women. Can you imagine I have seen comments where some say Liz deserves all this because she did not marry her husband back then when he had nothing to his name. They say if she were the first wife (who died, bless her soul) then they would empathise? Shocking!! Is it a crime to marry a widower? Is it a crime to marry a divorcee? At this rate women who marry such people better start having private assets on the side that no relatives know of? Is it all about assets? Shall a widower or divorcee live alone because his relatives will think every woman only wants his money? What about those who do not even have any money? Are a woman’s good looks and young age reason enough to persecute her? Cancer and other NCDs are here to stay. Just like HIV is still here today. Many lives will be lost. Why not come together and make a difference as a collective in how we respond. I am sending out a big hug to Liz Tsvangirai today. And I pray that her husband’s soul rests in peace!! I am sending a hug to the many women who are voiceless and nameless, persecuted and yet none of us know where they are and they cannot and know not to speak. Some die out there. Some have nothing to their name. Our pain as women; no matter how much we have or what car we drive or which rural village we dwell in; must push us to demand a better day.